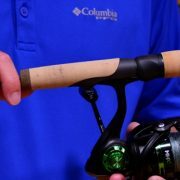 The reel seat arbor is meant to center the reel seat on the rod blank, and when purchasing an arbor – there are many options to consider, with even more opinions on what works best. Why Are Reel Seat Arbors Used? 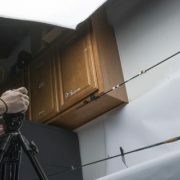 An arbor displaces and centers the distance between the reel seat and rod blank. 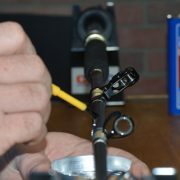 That’s it really – the arbor is used to center the reel seat along the rod blank. Depending on the arbor material you use, the arbor may or may not (help) act as a load bearing structure. For example, if you use tape as an arbor – it will not add any load bearing qualities. On the other hand, if you use a full length graphite arbor, then it will lend some help in bearing the handle stress during application. However, the arbor itself is not the main load bearing player here – the epoxy is. When the epoxy itself is added and cures (under the reel seat, between the gaps of tape arbors, etc…), that is what provides the bonding strength, not the arbor. 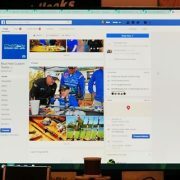 If you do a Google search for reel seat arbors, you will basically come across two types of results; products and blog/forum posts. 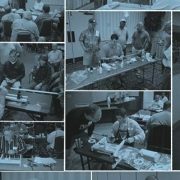 For newer rod builders, it can be kind of confusing, since so many experienced rod builders have such diverse opinions on how to build a proper reel seat arbor, not to mention what materials should be used. So let’s talk a little about the different arbor materials available. Some use different materials, but those are four materials we recommend. So what is the right choice? Masking tape is readily available and requires no pre-boring – just wrap and you’re done in minutes ready to install the reel seat. So, for most applications, we think masking tape will make a fine arbor that will last for years. However, there are some applications where you may want to use a larger type of arbor. For example, if the buildup requires more than 15 spins of tape on the rod blank, you may want to consider a larger arbor material. Of course, an argument could be made for using a smaller reel seat too – when available. Graphite arbors are extremely light weight and purchased so that the outside diameter (OD) of the arbor will fit the inside diameter (ID) of the reel seat. However, unlike masking tape, the center needs to be bored out to fit the rod blank. Graphite arbors are available in full length and smaller pieces – depending on your preference and application. Polyurethane is a solid, semi-porous material that is also purchased so that the OD of the arbor will fit the ID of the reel seat. Usually these arbors are sold in full length models, and too need to be bored to fit the rod blank. 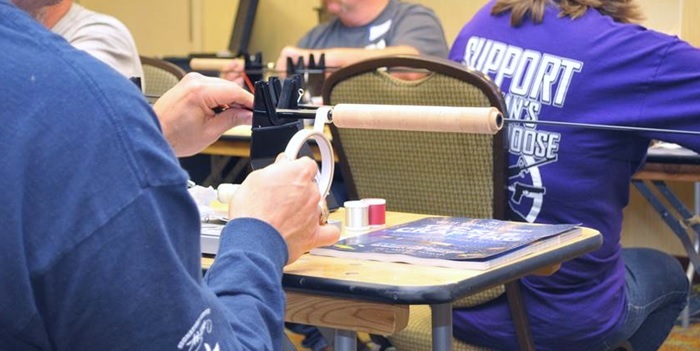 For heavier applications, like offshore saltwater rods, you can also use mesh drywall tape. 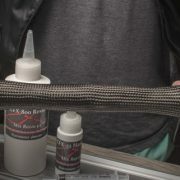 The mesh material allows the epoxy to nestle in between the layers, and really helps create a great bond. Generally the mesh tape is sold in very wide rolls, and you will probably want to cut them down to strip widths you desire.